This curtain was purchased from us and featured at the Grammy Awards, the hit movie "Dreamgirls" and in "The Holiday" movie. 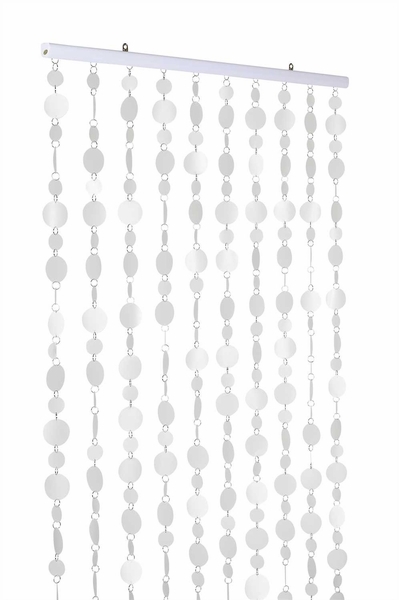 This beautiful faux Capiz Shell Beaded Curtain is stunning. Capiz shells are back in...and in a big way! 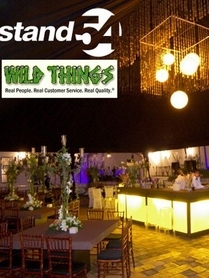 Our faux capiz shell curtain has 10 strands of 70" long (72" with rod) "shells" and hangs on a 35" rod. The "shells" are made of lightweight plastic and are translucent white. When the light hits them, they look so much like real shells! Hang a set or two in windows, or in a doorway...enjoy this affordable new alternative! Make sure to take a look at the matching Faux Capiz 2 Tier Chandelier! Each of these beads are attached to the next with jump rings making it very easy to add length using extra curtains! Ordered 3 of these to decorate the window on my salon. I was able to hang one from hooks and use the other 2 to hang on the first one to thicken the density and spread them out a bit to fill space. I would definitely recommend as an easy to hang decorating option. ProsInexpensive, lightweight and good quality. I will be getting more of these. There are wonderful. Add so much to my "laid back" home. Second purchase of these! Moved and bought more for my new place. These curtains look great in the window I have them in. They were the perfect size. Could not be happier. Shipping was fast. Item was packaged very well. I will order from this company again. I bought 6 sets to hang behind my sheers in my spa windows. The shell curtains changes my fish bowl look of all windows and creates a beautiful mysteries look. Wanted something to separate living & bedroom area with simplicity and this worked perfectly. 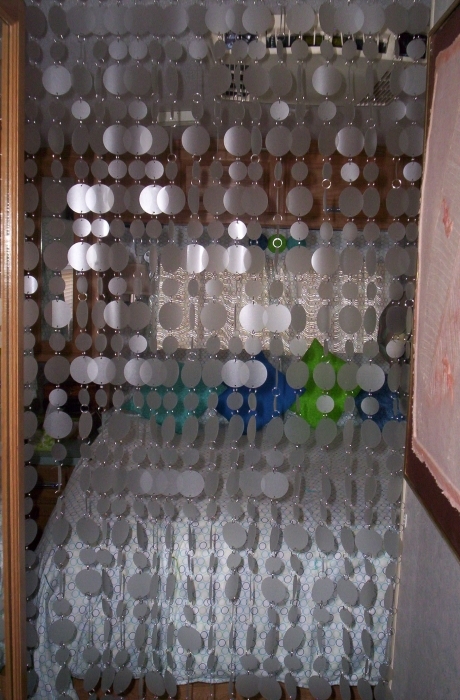 Very pleased with Capiz shell beaded curtain. Very light in weight and easy to hang. I did not want to damage wall so I used Velcro tape only 2 small pieces on each end was enough to hold curtain. Would recommend this product. For what I needed it was to sparse so I ordered a second one and added it to the 1st one, I had to modify the hanging part as it was going in my RV. It looks awesome. I cut the part that the strands hang from into 2 prong pieces and hung each one separately and used the original track from the RV and just slid them in so it looks like it came with the RV. (for anyone that wants to do the same thing!) Pic enclosed! ProsWas super easy to modify. Looks great. Seperates my bedroom yet still makes it look light and airy. Consone was not enough, but I wanted it with more volume, some may not. My 10 year old daughter picked these for her fashion themed bedroom and she loves them! They really add a special touch to her room. Its an inexpensive way to add a lot of 'glamour' without making it too tacky. I didn't care for the mounting bracket, so I just removed the strands and hung them individually using tacks/nails. We hung some behind her drapes in place of a sheer, several along the edge of her bed, and some at the entryway. ProsYou can very easily customize the length by adding/removing strands.